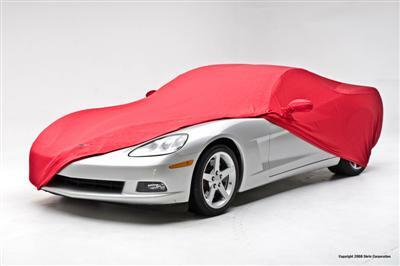 Car covers are much like automobiles themselves—some are just made better than others. Many auto owners simply need a durable, rugged solution to protect a vehicle that’s parked outdoors for long periods of time. However when it comes to true enthusiasts, collectors and people who just love to pamper their wheels, superior protection is a must. The idea of indoor car covers might seem redundant at first, but if you’re trying to maintain a flawless auto exterior, nothing could be further from the truth. They’re made to keep out the dust while also guarding against the little dings and scratches that can truly drive an owner crazy, making them invaluable additions to any garage. These days, there are numerous high-quality indoor options to choose from. A good cotton car cover provides both the defense and the breathability you need to shield your vehicle without building up excess heat or moisture within. For those seeking truly plush protection, satin-stretch makes a great choice for several reasons. • Maintains a sleek and attractive appearance. • Quality soft-touch materials prevent any potential scuffs. • Lightweight construction makes for easy handling and minimal storage space when not in use. Quality satin-stretch covers are made to fit your vehicle to a T, and they’re available in a range of styles and colors to perfectly complement your high-performance vehicle. Expect lasting performance when used indoors as recommended, giving you long-term confidence in the pristine condition of your car or truck. California Car Cover Co. is a recommended source for quality outdoor and indoor car covers. You’re sure to find ideal protection for whatever you drive, and wherever you drive it.